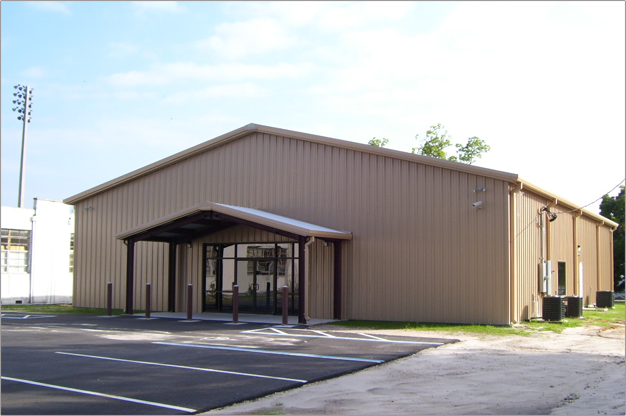 McIntosh is your best choice to erect your next metal building. We use high grade construction materials and code based construction practices at competitive prices. Our buildings range from agricultural and farm use, to suburban buildings for a shop or storage use, commercial buildings for your business, or just an extra garage. We can design and build a building just for you, based on your desires and budget!! YES WE DO IT!! Our future depends on the service we provide to our clients. At McIntosh we recognize that every project is unique and is customized (personalized……tailored) to each client’s construction needs. From preconstruction to closeout, every stage of our process is integrated. It combines teamwork, communication, experience and hard work”. We can handle most any size project you could dream of. We’re early adopters of technology that improves accuracy and streamlines production. Preconstruction is an integral part of the success of any construction project. Early involvement and evaluation of project scope, costs and constructability issues by the contractor can greatly enhance the ability of the architect to design a facility that meets the client’s and McIntosh’s expectations. We make sure that clear, concise, accurate and well defined information is exchanged between the entire project delivery team to ensure budgets and schedules are met. When project needs call for an accelerated schedule or a single point of contact, design build is often the solution. McIntosh and its associates have extensive experience contracting directly with design professionals to provide this delivery process to our clients. This is becoming a very recognized means of delivering a project. Design-build puts the Owner and the contractor in direct communication and eliminates information getting lost in translation. We have a very strong understanding of this delivery method. McIntosh has a history of credible accomplishments. We understand our role as Construction Manager and utilized this methodology for delivering many successful projects. On your project, youll know us as your customer advocates. Cutting waste, maximizing value to the owner and working at maximum efficiency. The key to our success is that we listen and understand the needs and expectations of the entire project team: owner, designer and all trade contractors involved. We manage everyone’s best interests, always looking for the most productive solution and work hard to make sure there is complete communication among all parties throughout all phases of work. Integrated Project Delivery is built on collaboration. In an Integrated project, owner, designer, consultants, constructor and even subcontractors and suppliers understand the value of collaboration and are committed to working as a team in the best interests of the project. Customers know that we not only complete their buildings, but we do so timely because of our honest work ethic. The bottom line with McIntosh is that we promise quality and professionalism, and we keep our word!! This “from-the-start” involvement of the key participants forges the way for early project goal definitions, intensified planning and communication among the team. This approach establishes a “what’s best for the project” thought process unique to each project with weighted focus to achieve the project goals. Providing at-risk general contracting services has been the mainstay of McIntosh Design. Our general contracting resources enable us to meet the most demanding schedules. Through our depth of skilled construction professionals, we can self-perform work and better control the quality and schedule to meet our client’s needs. McIntosh has the expertise to provide Leadership in Energy and Environmental Design practices during the preconstruction and the construction process. Our staff includes a Accredited Professional and we team with other Professionals directly to fit the needs of your project. From energy efficient Air conditions and water heaters to solar energy to fit and needs or visions, YES WE DO IT! !